I wanted to share the card I made on Facebook Live last night here. Thanks so much to Carl and Chris for being there most of the time supporting me while I put myself out there! 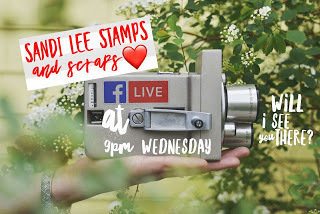 I will be there next Wednesday at 9pm EST too. It was actually kind of fun once I got started. 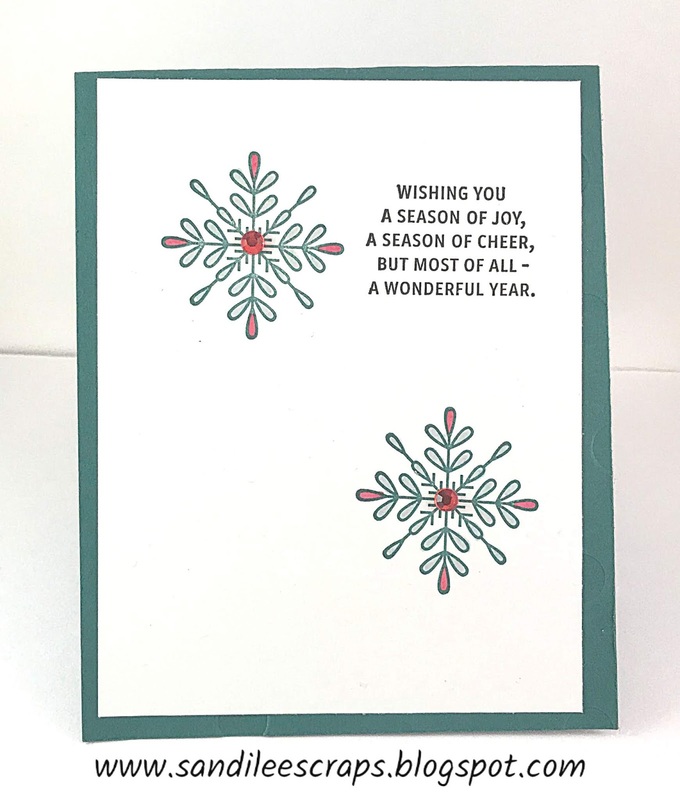 I used tranquil tide cut at 4 1/4" X 11" and scored at 5 1/2"
Place piece of whisper white cardstock cut at 4" X 5 1/4"
Stamp snowflake in upper left hand corner and fold tranquil tide down on and stamp in center of circle. Color with light smoky slate and cherry cobbler stampin' blends. 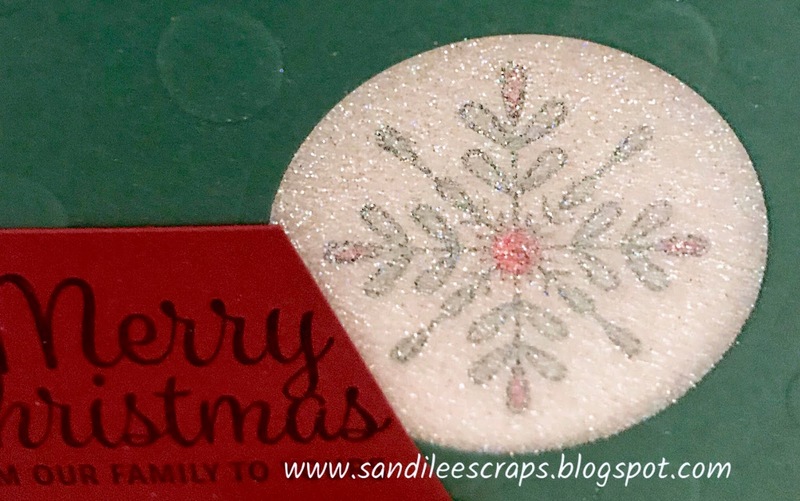 Attach red rhinestones to center of snowflakes. 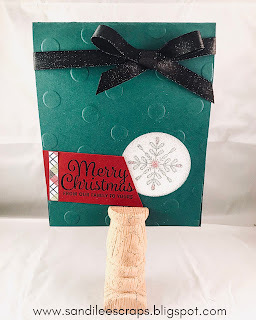 Stamp Merry Christmas using Staz On on 1 1/4" on cherry cobbler cardstock. Cut a narrow strip of under the mistletoe designer series paper. Cut a piece of packing tape and place the tape sticky side up over the circle. Then sprinkle dazzling diamonds over the sticky side to create the shimmery window. Close up of the shimmery window. You can order the supplies you need to make this card by clicking on the pictures of the supplies at the bottom of this post. If you have any questions, you can email me or PM me. 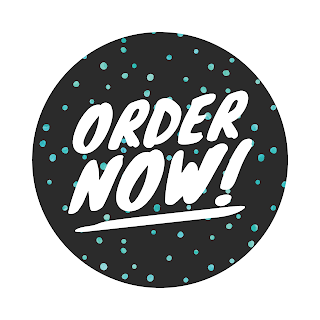 If you order from me, please use Hostess Code GX92FQJ3. Order $50 and get a free pack of clear rhinestones sent to you from ME!